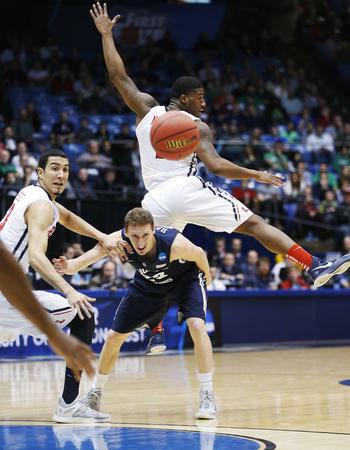 This is the second of a three part series on BYU guards, coming after the second third of the season. Click here for Part 1, or here for Big Men part 2. The guard line third installment will come at the end of the season. After two thirds of the 2014-15 basketball season it is clear that the guard line is carrying this team. Not only are they carrying the scoring load, but they are also getting more rebounds, steals, and blocked shots than the men in the middle. Consequently Dave Rose has lost so much confidence in his post play that he has opted for a four guard line-up. Because of a few key injuries the rotation has remained in-flux. However, it has become clear that the starters and best players on the team moving forward will be Haws, Collinsworth, Winder, and Fischer. After those starting four there are a few question marks. Toolson and Bartley have shown potential, so we can expect to see more from them in coming years… but what is their role this season? Skyler Halford is not really a crowd pleaser but he certainly does bring defensive pressure and he has the ability to turn up the pace of the game. Will he continue to get a consistent 10-15 minutes per game? And will Jordan Ellis ever get real minutes? What is he capable of? To answer these questions we should first examine the numbers for the first 21 games this season. The following player-by-player breakdown highlight how the main contributors have developed thus far this season. Expectations were high for Ty going into the season and he has certainly met them. 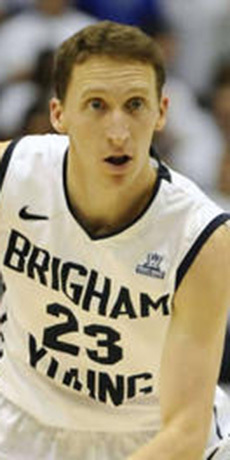 He is possibly the least heralded superstar to ever go through the BYU basketball program. He is quietly breaking all kinds of records and has done everything asked of him. He’s even doing what NBA scouts asked of him (extending his range to the three point line), improving his rebounding and defense. Here’s what his numbers and PER40 look like so far. Mr. Consistency has had a remarkable but quiet season thus far. His PER40 put him as the #2 scorer in the country (#1 has played four fewer games) and one of only three in the top 20 scorers that has played a decent SOS thus far (BYU’s SOS is ranked #48). His line of 22.5 points, 4.6 rebounds, and 2.5 assists (with only 1.3 personal fouls and 1.7 turnovers) place him as one of the top offensive players in the country and could put him as a top three Wooden finalist if he played for a P5 school. As point of reference top five Wooden candidates Anthony Gill (Virginia) and Delon Wright (Utah) are averaging 13.3 points, 5.6 rebounds, and 3.4 assists. While Tyler Haws had the huge preseason expectations but has flown relatively under the radar, KC had much more modest preseason hype but has become the talk of the town in both local and national media. His four triple doubles have been the focus on many news articles and speculation regarding an early departure to the NBA are increasing with each game. As the season has progressed Kyle has kept about the same number of minutes per game but has improved his scoring (12.4 to 12.8 PPG), rebounding (6.6 to 8.3), assists (5.3 to 5.9), turnovers (3.6 to 3.1) and shooting and free throw percentages. His PER 40 line of 17.1 points, 11.1 rebounds, 7.9 assists and 2.9 steals is quite possibly the most impressive line in all of college basketball. Averaging nearly a triple double in college is quite the feat and will certainly continue to draw attention to KC and the Cougs. I personally had lowish expectations for Fischer coming into the season due to his non-production at Wake Forest. Sure it’s nice to have a “leader” but we really need a defender who can run the point and effectively manage the team on the floor. Well Fischer has surprised me—he won’t typically wow you (except the occasional 10 three pointers in 24 minutes of play), but he is certainly more consistent than Matty basketball and has made a positive contribution to this cougar team. Fischer has settled in as a starter, getting about 28 minutes per game, and has done well. 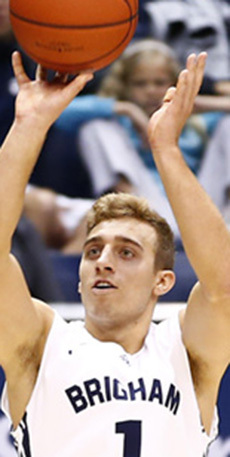 He is an average shooter, passer, and rebounder and a slightly below average defender; but he has adapted nicely to BYU’s up-tempo offense and has been consistent and not a liability (on offense or defense). He should be able to develop into a good point guard. In Part 1 of this series I recommended Anson be given more playing time as a result of his first third production. He has played more, started more, and produced at the same level (which is pretty freakin’ good). He is the only Cougar guard shooting over 50% because he knows how and when to slash to the hoop and get layups (a la Fredette in 2010-11). His quickness is paying off on both offense and defense and he is dangerous enough that opponents don’t dare double team Haws or Collinsworth. His PER 40 line of 21.5 points, 5.8 rebounds, 3.2 assists, and 1.8 steals is something very few (if any) Cougar fans expected coming into this season. There were a lot of “Halford haters” early in this season (myself included) but Skyler’s defensive intensity and ability to get some good passes off have raised his stock during the middle of the season. His stat line won’t turn any heads but he has been a good contributor off the bench and deserves his 10-15 minutes per game. 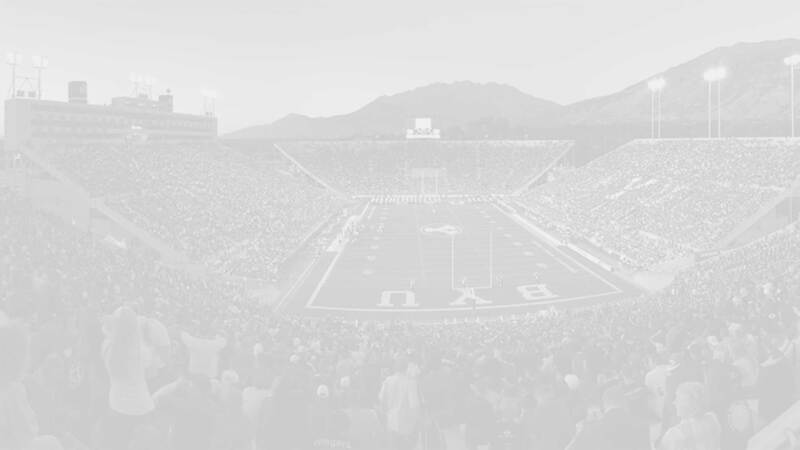 After the first third many fans expected Kaufusi and Bartley to pick up minutes moving forward as they are certainly fan favorites for their ability to energize the team, something that has been really lacking in our losses thus far. Despite fan wishes Bartley is continuing to get garbage minutes, but he has been better than average on the defensive end and there may be a place for him moving forward. Toolson continues to show flashes of potential and will likely play a key role for the Cougars in future seasons. 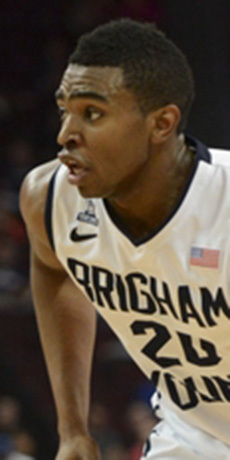 However, this season expect to see less and less of Toolson as conference play continues. He is great for a freshman but his skill-set (three point shooting) is simply more of what we already have on the court with our starting guards. Rose has given Jordan Ellis a few opportunities to see the floor, but as a walk-on Junior who didn’t even play at his last college (Portland State) Ellis has done little to change the low expectations most have for him. Very little has changed for the guard line as the season has progressed. We have a very strong starting four who keep the tempo fast, the score high, and play little defense. Meanwhile fans are getting more and more excited about Collinsworth and Winder and forgetting how valuable Haws is. Finally, Fischer has shown he will not become the Matty basketball scapegoat thanks to pretty consistent play. So the numbers tell us what we already knew, we have a fantastic guard line.